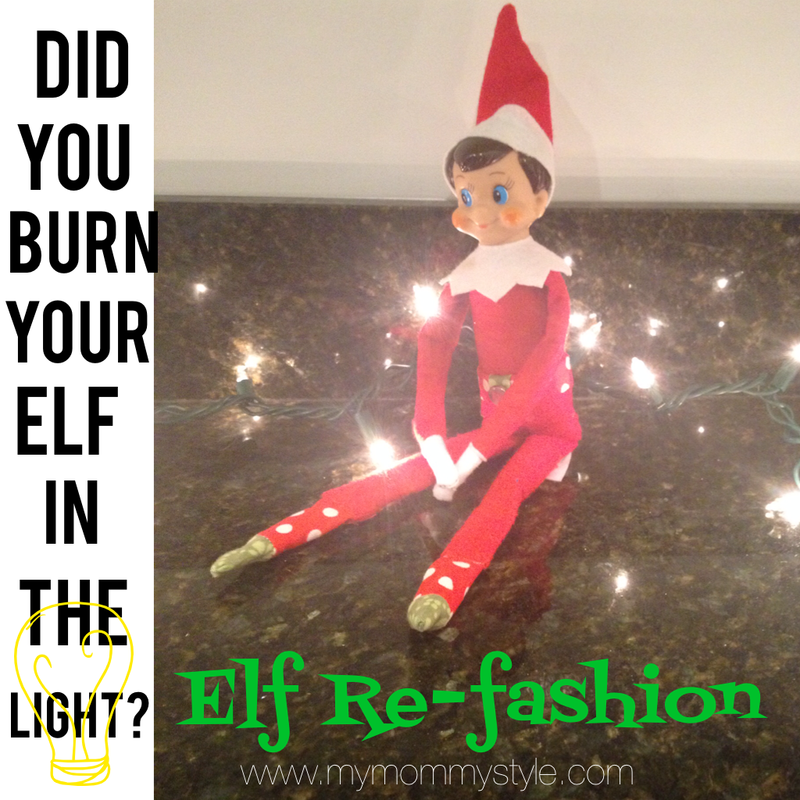 Did you put your little elf in a light fixture and burn off its arm or leg? This is exactly what my next door neighbor did last year. She was horrified when she realized their little “Buddy” was missing most of his legs. She rushed to the store right away so she wouldn’t have to explain to her children why their elf was now a little shorter. I told her I would be happy to fix him up for her as his limbs are only made of felt but she didn’t want to bother with it and because I didn’t already have an elf she gave him to me apologetically because of his current state, but I was thrilled to give him a little refashion. I wish I had kept a picture of what he looked like before I fixed him! I entirely replaced a leg by matching the red felt and stuffing it a bit with some cotton and had to replace the lower half as well. I figured while I was at it it may as well make him shoes and a matching belt with some extra material I had laying around. I finished off the look with a polished button snap for his belt buckle. My friend couldn’t believe what I was able to do with him and I think it is kind of fun that he doesn’t look exactly like the others! 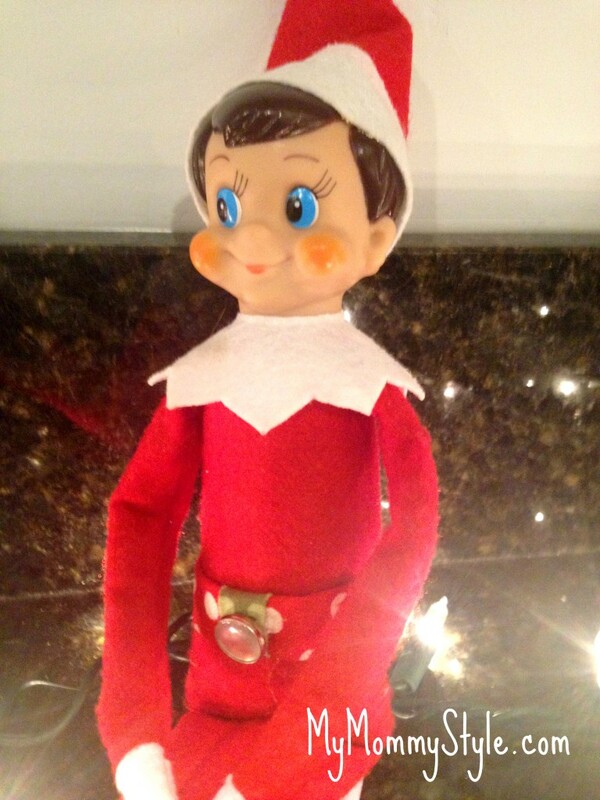 Don’t worry if you’ve accidentally severed a limb, just give your elf his/her own personal touch! 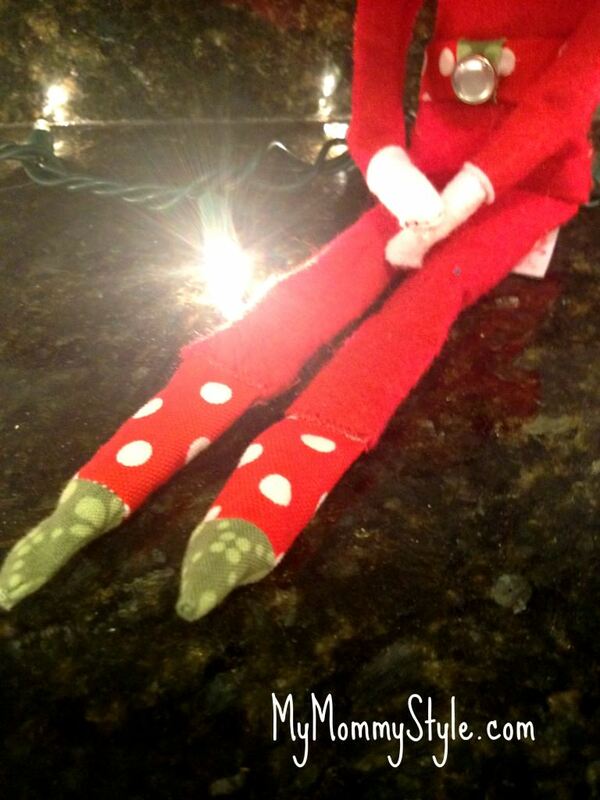 Check out our other elf on the shelf posts for more tips and ideas.